A teenager who survived a flight under a jet wing in -50C is in trouble again. This time Andrey Sherbakov’s family home in a Russian village near Perm city has burnt down, killing his pets, according to the E1.ru news site. It seems like too many tragedies for a 15-year-old. In September 2007, Andrey survived a journey from Perm to Moscow in the plane’s undercarriage. Doctors described his survival as ‘a miracle’. The latest fire incident completely destroyed the house he shared with his mother, brother and sisters. Olga Goldobina, Andrey’s mother, said the only things they managed to save were some documents, a TV and computer. “All the rest burnt in the fire. We were taking the things out of the burning house together with Andrey. Girders were falling on us, thank God we didn’t get burns,” she said. 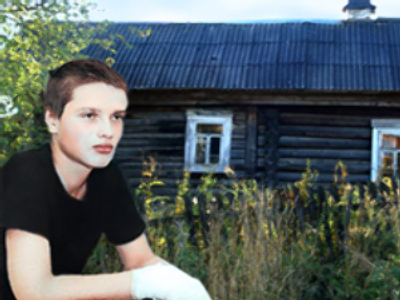 But the pets – two cats and the dog named Rex, Andrey’s favourite – couldn’t be saved. Now the whole family lives with Andrew’s grandmother.